Corporate buyers increasingly expect a B2C-style shopping experience. They want the same convenience and features they already enjoy as private online consumers. Dutch company IGO-POST—a market leader in promotional merchandise—decided to address this challenge by upgrading to Intershop 7. With its new e-commerce platform, this international business can meet present and future customer needs with a highly attractive omnichannel offering. IGO-POST has been a specialist provider of promotional merchandise for over 70 years. The key aim of the project with Intershop was quick and easy deployment of twelve online stores across Europe. In just six months the project was successfully finished thanks to agile development at Intershop. Create a convenient user experience that mimics B2C online shopping, with features such as product, service, and price comparison as well as optimization for many types of user devices. Enable seamless integration of third-party systems for twelve online stores across Europe, including enterprise resource planning (ERP) and product information management (PIM) from multiple vendors. Host the infrastructure with an external cloud provider—for optimum scalability and outsourced maintenance. Well connected: stores are linked with Microsoft Dynamics AX (ERP) and Stibo Trailblazer (PIM) for seamless integration of customer and product data. Responsive web design: storefronts display perfectly on mobile devices, such as smartphones and tablets. For buyers: ability to view previous orders and offers; to edit billing, shipping, and e-mail addresses; and to save and share items. For IGO-POST: centralized control of twelve online stores across Europe plus easy country-specific customization, e.g., currency, tax rates, logistics partners, and product range. 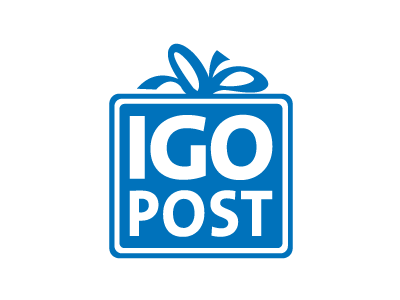 For everyone: by choosing a cloud-based solution, IGO-POST doesn’t have to install and maintain its own infrastructure. And thanks to almost unlimited scalability, shops are always easily accessible even at peak times, e.g., before trade shows or during the holiday season. Successful completion of this project demonstrates once again that we don't just offer impressive solutions for the B2C market. We also provide innovative responses to the widely varying challenges our customers face in the field of B2B commerce.